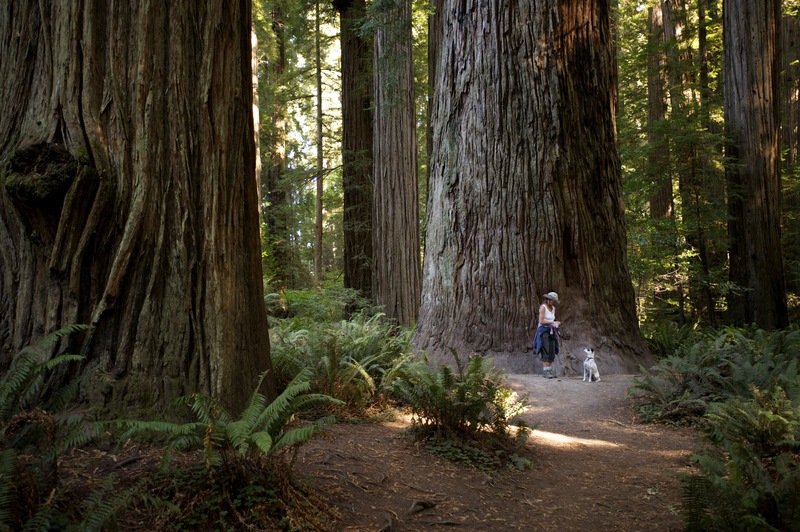 Twenty-five miles north we veer slightly inland and stop for the night at Jedediah Smith Redwoods State Park. Many of the sites are already reserved or occupied at this pretty campground on this Saturday afternoon, but we’ve arrived early enough to find a shady spot near the Smith River. Warm sun coats our backs for the first time since Yosemite. 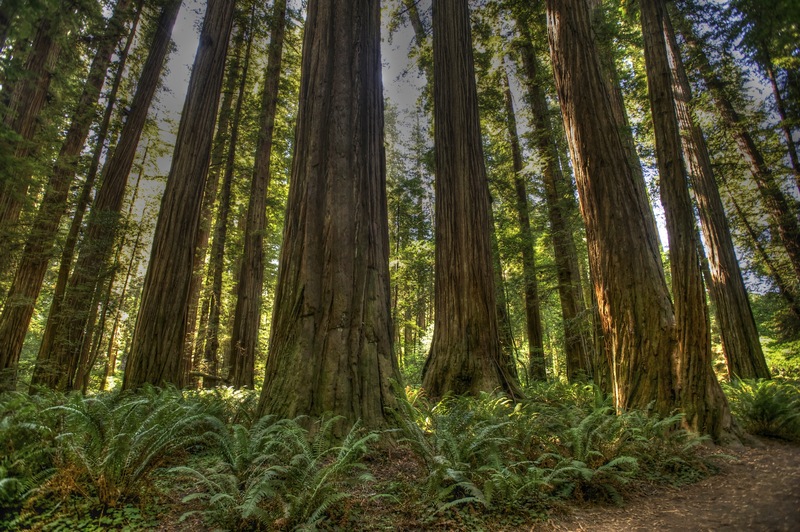 After making camp, we walk along the shore to the Stout Redwood Grove. Going is tough on the uneven surface of irregular stones, even for Basil. We throw sticks into the water for him to chase in lieu of a sorely needed bath. 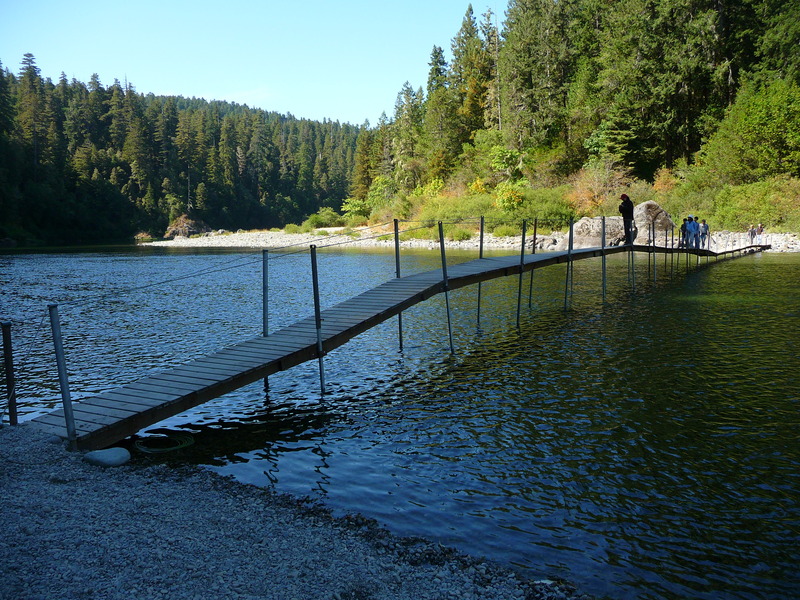 A footbridge leads across the river to a grove of old growth redwoods. As we enter the hushed presence of the great trees, the air cools, and our pace slows. Even Basil treads at a more sedate pace than usual, as if he too is in awe of the ancient giants towering all around us. For dinner, Dave gets creative: chicken thighs sautéed with mushrooms, shallots and wine accompanied by garlic pasta and steamed broccoli. Life on the road is getting better all the time. A restful night’s sleep and an early start the next morning. We are eager to cross the border into our neighbor state to the north. Grassy verges of fireweed backed by tall stands of pine and fir flank the highway. Road signs announce odd place names that alternatively make us scratch our heads or laugh out loud: Wonder Stump Road. Humbug Mountain. 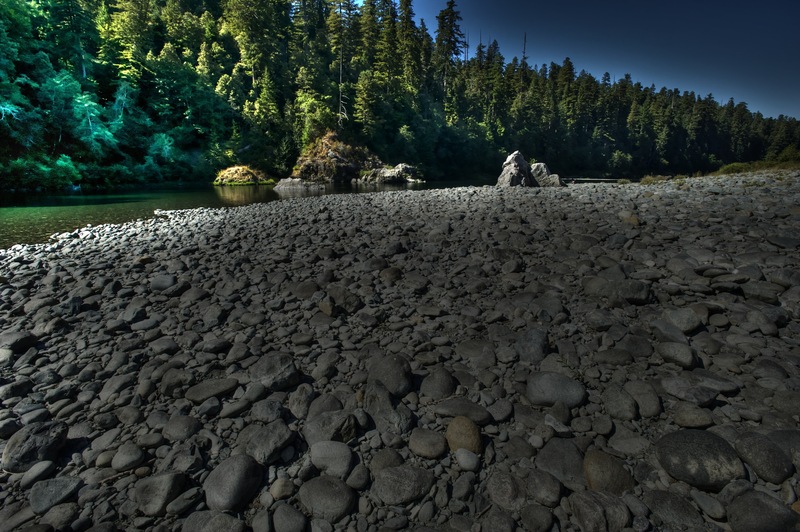 Lost Man Creek. 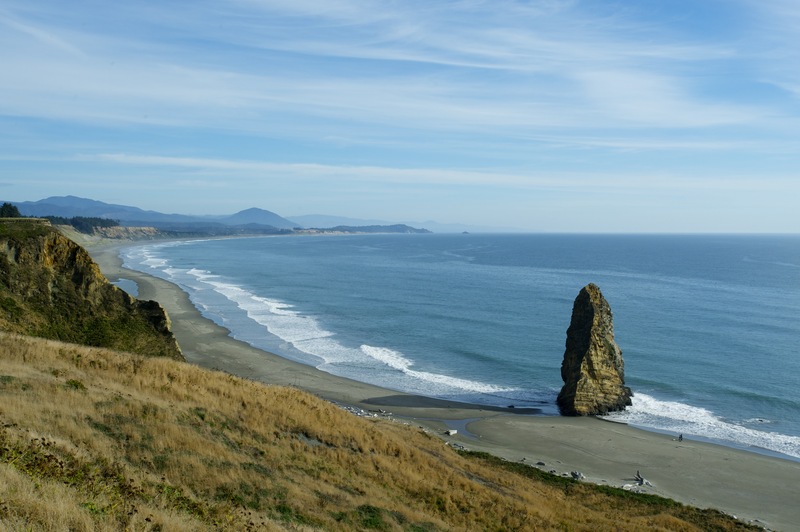 A spectacular stretch of coastline and another sunny day welcome us to Oregon, a place we’re very happy to discover.